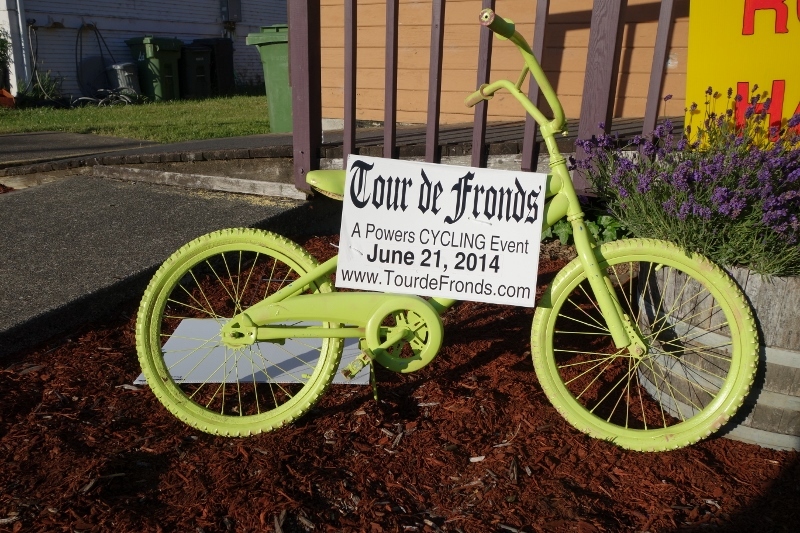 The Tour de Fronds is one of the most beautiful cycling events in Oregon. 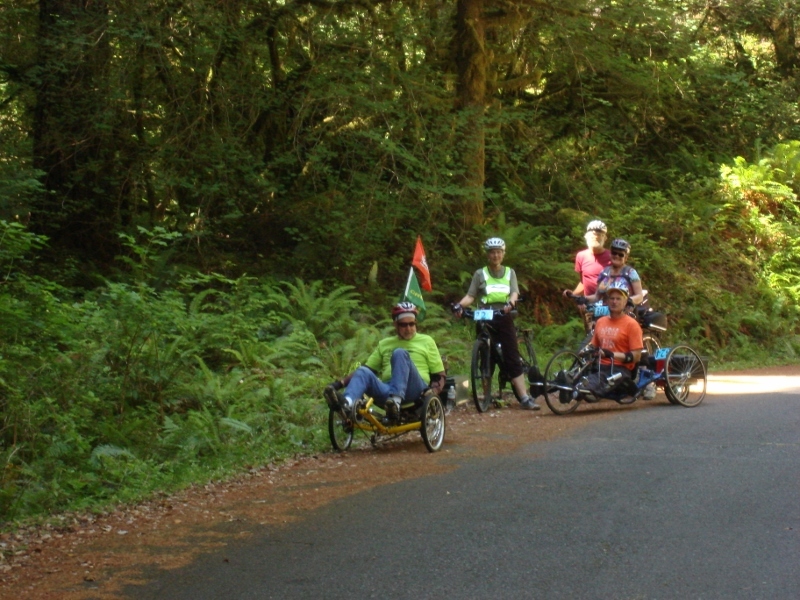 The Tour is your choice of scenic rides on low-traffic roads in Southern Oregon’s beautiful Coast Range. 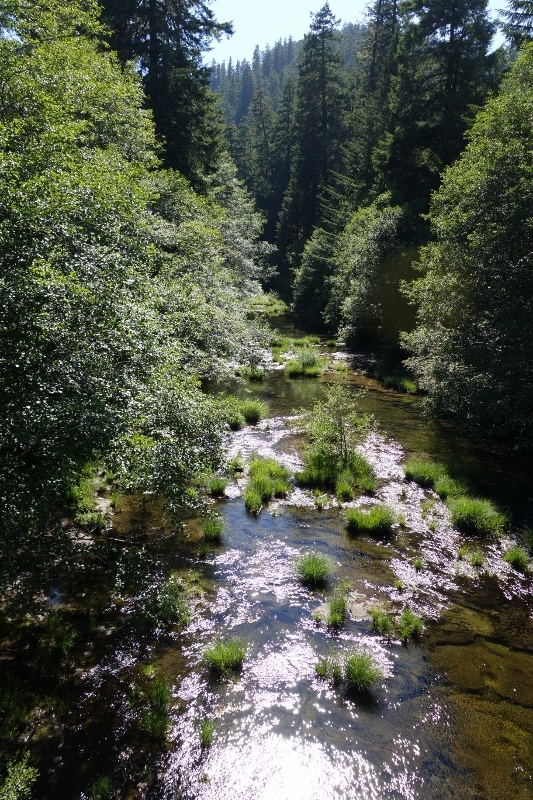 From your saddle enjoy views of old-growth forests, wildflowers, waterfalls, rivers, streams, and mountain vistas. 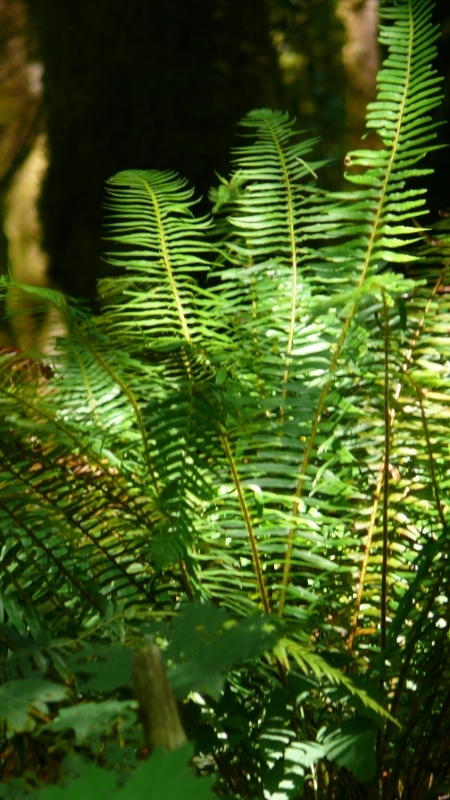 The Tour de Fronds transverses Oregon’s premier Glendale/Powers Bicycle Recreation Area, a project of USDA Forest Service and the Bureau of Land Management. 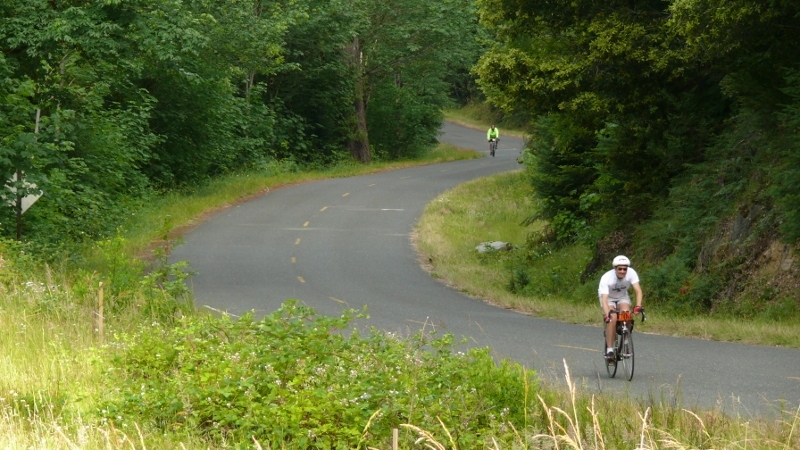 Six rides are available from 30 to 117 miles long with different climbing and grade challenges. Five rides are on asphalt. One ride is an asphalt/gravel ride. This ride is a metric century to the Rogue River/Singing Springs Resort. The Tour is well-supported with many and varied snacks and beverages are available at each Check-In area. A large meal after the tour is included in your registration. Please visit www.tourdefronds.com for full event information and updates. All rides will start at Powers County Park. Ride check-in will be available between 6:30 am and 9:30 am. You may begin your ride once you have checked in. Check-in and packets will also be available at the Friday night Spaghetti Dinner for those who want to depart earlier on Saturday. We strongly recommend that those participating in the longer rides check in on Friday night or very early in the check-in period so that they have plenty of time to finish the ride and arrive back in Powers for dinner. Pre-ride refreshments will be available at the Park beginning at 6:30 am. Check Points will open as needed but not earlier than 8:00 am. Parking is available at the starting area at the Powers County Park and throughout the park. The parking lot is monitored throughout the day. Snacks will be provided en route at the Check Points. Registration Fees include snacks and drinks at the Check Points. The Check Points correspond with the ride end points. The first Check Point is at Daphne Grove (16 miles out from Powers). Those riding the Daphne Grove ride will return to Powers after checking in and refueling. Those continuing on longer rides will check in and refuel at Daphne Grove and then continue on to the other Check Points at Eden Valley (30. 5 miles out), Arrastra Saddle (36.5 miles out), and at the half-way point of the Cruiser Loop (58 miles out). These Check Points will be available on the return trip as well. 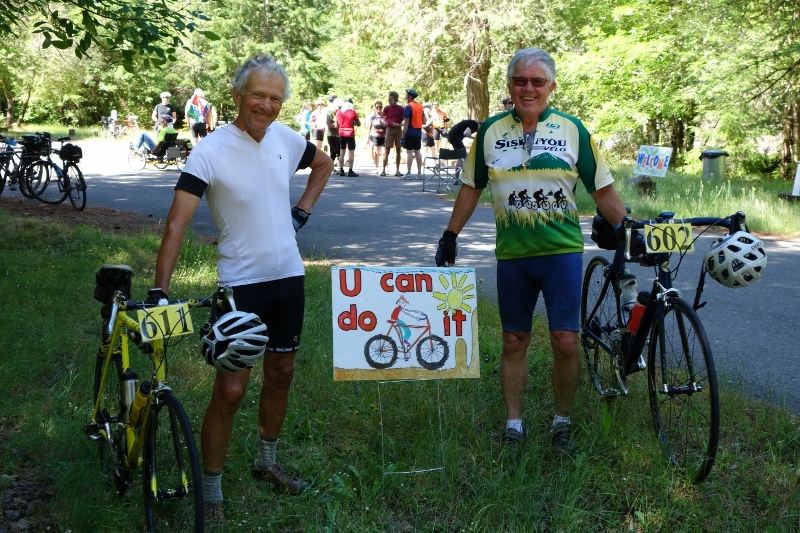 Those riding to Agness Pass will have Check Points at Daphne Grove (16 miles out) and at the top of Agness Pass (21 miles out). 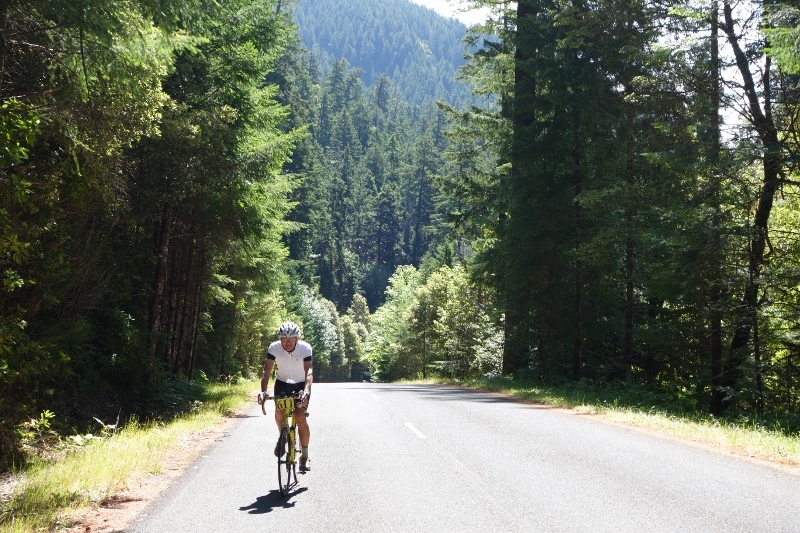 The Rogue River-Singing Springs Resort Asphalt/Gravel ride will include checkpoints at Daphne Grove (16 miles out), at the top of Agness Pass (21 miles out) and at the Singing Spring Resort (38 miles out). A coupon will be included in the packet for this check point, as well as a menu with choices available. These Check Points will be available on the return trip as well. SAG vehicles with water will be monitoring the routes to provide hydration and assistance. Registration Fees include a delicious post-ride meal at Ross Hall in Powers. Post-ride meals will be served from 11:00 PM to 7:00 PM. Plan your leave time so that you arrive back in Powers before 7 pm. Bicycles can be parked outside Ross Hall. A delicious Pancake Breakfast is available on Sunday morning for $8 payable at the breakfast. The breakfast is sponsored by the Powers Lions Club. If you plan to attend, please indicate this on your registration form. 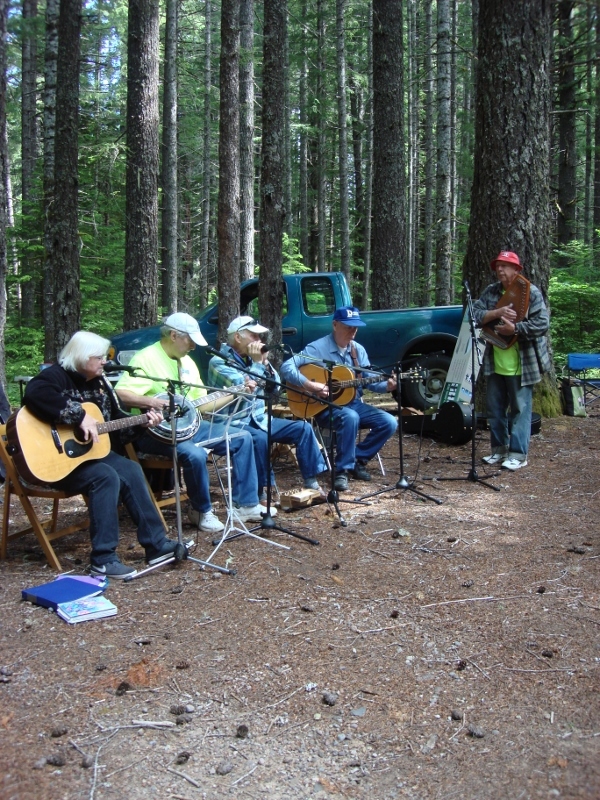 The Tour de Fronds is a backcountry route, beautiful, but remote. The Forest Service and BLM roads are mostly paved and fine for road bikes, but some of the route is chip-seal and we recommend 25C to 32C tires as a minimum for comfort. We also recommend that you cycle with a partner and limit speed on the descents. The Asphalt/Gravel ride includes a longer portion of the gravel surface. NOTE: The Active.com course map only shows the Daphne Grove (30 mile) route. For maps of all the other routes, please visit www.tourdefronds.com.